0.45 l.m. of textual records. The collection contains primary and secondary source information on the creative life of Helen M. (née Webster) Emery, the community of Hatley (village), and organizations in the area from 1888 to 1959. It consists of scrapbooks containing newspaper clippings, largely pertaining to the Hatley village area, as well as original poetry by Helen M. Emery. 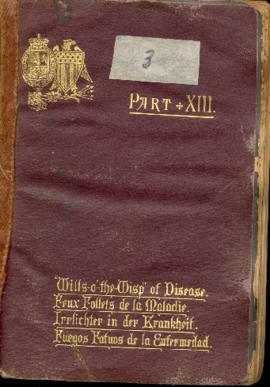 The scrapbooks were compiled by Helen M. Emery and continued by her daughter, Sadie (née Emery) Webster, following her death in 1923. The collection was donated by the Old North Church Cemetery Association in 2018. All of the scrapbooks are also available in digital format. For information on purchasing a complete collection of the digitized scrapbooks, please contact the Old North Church Cemetery Association: oldnorthcem@gmail.com.